However, the program does have several caveats. There are only three Android phones currently supported - the Note 4, Galaxy S5, and Galaxy S6. Broke the screen on your shiny new S7? Well, too bad. Additionally, "Some colors of eligible devices are not covered." Availability is extremely limited as well, with only 15 cities that will offer the service at launch and 29 more arriving on December 1. 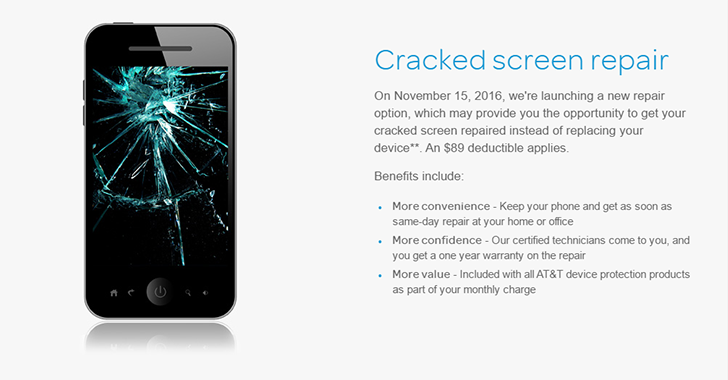 Still, if you already have one of AT&T's insurance programs, this is a nice bonus.